After a couple of days of taking in the game action down in Fort Myers, here is a rundown of some of the happenings. It has been a solid two days of scouting so far, with one more to go tomorrow starting at 10:00am. Follow me on twitter here for live updates. -Jose Vinicio has been more than holding his own the last two days, especially batting left-handed. Vinicio has displayed plus batspeed from the left side and the ability to turn around a good fastball. With a compact swing as a lefty, he uses his hands well to get the head of the bat out in front of the ball. Vinicio has some work to do as a righty. His swing is on the long side and he tends to tie himself up against inside fastballs. Vinicio has also been extremely fluid at shortstop, but has needlessly rushed a few plays that caused his throws to sail on him. -Raul Alcantara worked 2.0 innings yesterday against Tampa's group and labored through his outing. Alcantara had a lot of trouble throwing strikes with his fastball. When he did get his fastball into the zone, it was grabbing too much of the upper tier and he gave up some hard contact. Alcantara's lack of fastball command yesterday can be attributed to failing to consistently find his release point. His heater worked 91-93 MPH and he also tried to throw his low-80s slider from time to time, with mixed results. -Heiker Meneses put a charge into a first pitch fastball yesterday, driving it deep over the fence in left-center field for a home run. Meneses was quick getting the head of the bat through the hitting zone and did a good job getting his hands above the baseball to drive it with backspin. He did make an error on a routine play at shortstop and also looked a bit too laid back going after a couple of other balls hit out his way. -Sean Coyle chased two high fastballs yesterday that resulted in a sky-high popup to the shortstop and a lazy flyball out to left field. Coyle looked too impatient in those plate appearances, going after offerings he had little chance to make good contact against. He showed off his quick bat in picking up a single on a fastball lower in the zone and also demonstrated better plate coverage with his swing than previously observed. -Recently back to baseball activities, Garin Cecchini had two impressive batting practice sessions yesterday and this morning. Cecchini sprayed line drives around the field, driving the ball hard from gap-to-gap. In today's session, he rifled quite a few balls hard with strong backspin, showing little restriction from the broken hand that ended his 2011 season with Lowell. -Jason Garcia sat 92-93 MPH with his fastball in yesterday's outing against Tampa, but had a tough time keeping the ball down and consistently throwing his fastball for strikes. Garcia rushed through his delivery frequently. He also worked in his 83-85 MPH slider, which was inconsistent and on the loopy side when he threw it. Garcia did snap off one very good slider to the last batter he faced. He's an intriguing arm to keep an eye on though and has shown solid mound presence for a pitcher his age. -Jackie Bradley, Jr. has appeared in both games out in center field. Against Tampa yesterday, Bradley, Jr. tied himself up three times on inside fastballs to produce relatively weak contact in the process. He has a tendency to dive too far into the ball and this left him prone to hitting the ball off the handle yesterday. Today, he was diving less into the ball and picked up two hits against Baltimore's Instructs team. Bradley, Jr. used a fluid inside-out swing to line a single to center field and then drove a fastball away hard off the left field wall for a double, just missing the home run. -Jordan Weems shows good reactions and fluid movements behind the dish. He has been tested on a lot of offerings in the dirt by the pitchers throwing in games. Weems moves well laterally and is also firm with his target when receiving the ball. He was slow coming out of his crouch when challenged by a runner today though. Weems recorded a 2.22 pop time down to second base on the play, which also was not helped by his slow release with his throw. -Blake Swihart has a very fluid swing from both sides of the plate. Despite being on the lean side, the ball has come off his bat well in his batting practice sessions and he demonstrates plus batspeed, with the ability to produce solid backspin. On both days, Swihart has just gotten under fastballs batting right-handed to produce flyouts to left field. Down the line, with added strength due to physical maturation, these are balls that will have a better chance of carrying out of the ballpark. OK, so the past couple days have sucked. Same for us, trust me. (Director of Scouting Chris Mellen, presently in Fort Myers for the Fall Instructional League, perhaps excepted. Follow his observations from the Fort on Twitter and here at SoxProspects News!) But what better way to get past it by getting your thoughts off of Wednesday night by switching your focus back to the farm system? Today, we conclude our three-part staff wrap-up by looking to the future, as we list our sleepers, the 2011 draft picks we're most excited to watch, and some bold predictions and thoughts on what's to come for the Red Sox farm system. We would also like to thank all of our readers for a successful season! Our fall and winter league coverage will be starting up soon, so don't go away! Today, we continue our look back at the 2011 season by asking our staff their personal thoughts on a number of questions. In Part 2 of our staff wrap-up, we ask everyone about specific players and developments in the system this season. Fill in the blank: The most interesting development in the Red Sox farm system in 2011 was _____. What player's performance surprised you the most? What player's performance disappointed you the most? What player's stock rose most, in your opinion? What player's stock fell most, in your opinion? 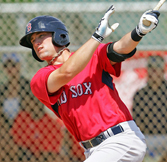 As we continue putting the finishing touches on the 2011 season here at SoxProspects.com, we present to you a three-part series in which our staff gives their thoughts on a number of questions regarding the year in the Red Sox system. Today, we will take a general look at the the up and down trends in the system. On Wednesday, we will look specifically at which players left the biggest impressions on us, for better or worse. Finally, on Friday, we'll look ahead to 2012, giving our predictions, listing some sleeper prospects, and even throwing some crazy ideas out for you to consider. Please, enjoy! Fill in the blank: The 2011 season was _____ for the Red Sox farm system. Fill in the blank: When I look back on the 2011 season in the Red Sox system, I'll think of _____. Heading into the 2011 season, I lauded the Red Sox minor league system for its depth. But as the season has progressed, it became apparent there was an absolute dearth of depth of starting pitching at the upper levels of the minor leagues. Over the past few months, the club has been presented with several opportunities for a young starting pitcher to take the reins, help the club in the race for the wild card spot, and potentially earn a spot in Boston’s rotation for 2012. The best -- and only -- option the front office has been able to put on the mound is former third-round pick Kyle Weiland. In 6 major league appearances, the 25-year-old right-hander is 0-3 with a 7.99 ERA. This isn’t a referendum on Weiland or his future, as he’s posted a 3.51 ERA at four levels of the system since 2008, and has shown the potential to have three major league pitches with continued refinement. Over time, he could certainly develop into a very good late-inning reliever and perhaps even a decent spot starter at the major league level. But the fact that he’s been the only go-to option from the minor leagues for the big club down the stretch speaks to the lack of depth of starting pitching at the upper levels of the system. Check out the rest of the column on ESPN Boston. During the 2011 season many players had impressive individual performances. The players listed below were voted by the SoxProspects.com community as Players of the Year based on their outstanding seasons. For the third straight year, Ryan Lavarnway ran away with the vote for best offensive player in the Red Sox system. In 116 games split between Double-A Portland and Triple-A Pawtucket, the 24-year-old catcher batted .290/.376/.563 with 32 home runs and 93 RBI. In addition to the great offensive season, coaches have commended his strong work ethic and strides made defensively since entering the system. Lavarnway earned his first call-up to the Majors Leagues on August 18 as a result of his strong showing. In 8 games with the Red Sox, Lavarnway is 7 for 28 with 2 doubles, 4 RBI and 4 walks. 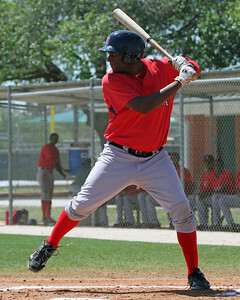 He ends the season ranked sixth in the Red Sox system by SoxProspects.com. Appearing in just three games for the Gulf Coast League Red Sox in 2010, Sean Coyle put together an impressive rookie campaign for the Low-A Greenville Drive in 2011. In 106 games, Coyle showed an impressive combination of power and speed with 14 home runs, 27 doubles, and 7 triples, along with 20 stolen bases. It was an up-and-down season for Coyle who struggled out of the gate and in June, but still managed to post a line of hit .247/362/.464 for the season. The 5'8” 19-year-old battled through injuries to win the SoxProspects.com All-Star award as the top second baseman in the system for the season. Lowell third baseman Garin Cecchini finished second for Rookie of the Year with 22-percent of the vote. 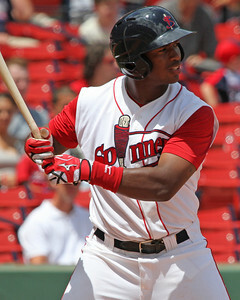 Coyle ends the 2011 season ranked 11th on SoxProspects.com. 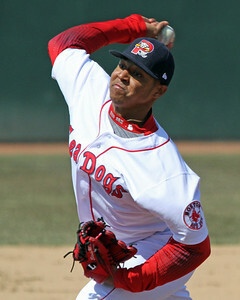 One of the younger players in the system at 18 years old, shortstop Xander Bogaerts followed up his SoxProspects.com Rookie of the Year award in 2010 by breaking out in a big way in 2011. In 72 games for the Low-A Greenville Drive, Bogaerts hit .260/.324/.509 with 16 home runs and 14 doubles. The aggressive promotion directly from the Dominican Summer League to Greenville proved to be the right move for Bogaerts who excelled as one of the youngest players in the South Atlantic League. In a close vote, outfielder Bryce Brentz trailed Bogaerts by about nine-percent for Breakout Player after hitting 31 home runs on the season. 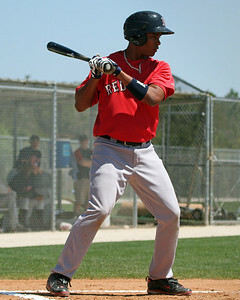 Regarded by many as one of the players with the highest ceiling in the Red Sox system, Bogaerts ends 2011 ranked fourth on SoxProspects.com. 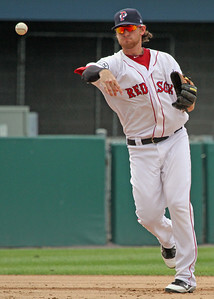 Drafted by the Red Sox in the fourth round of the 2004 Draft, left-hander Tommy Hottovy spent eight years in Boston's system, making it to Triple-A only briefly for the first time in 2010. The Red Sox essentially took a flier offering him a minor league contract during Spring Training this season, but with a tweak to his mechanics, dropping his arm slot, he pitched well enough to earn a brief call-up to The Show this season. Following Tommy John surgery in 2008, Hottovy never seemed to be able to consistently get Double-A hitters out and began his sixth season with Portland this year. The 29-year-old finished with a 2.75 ERA in 36.0 innings pitched with Pawtucket. He pitched 4.0 innings with the Big League team, mostly utilized in a left-handed specialist role. In our latest podcast, Mike Andrews, Chris Mellen, Chris Hatfield, and Jon Meoli wrap up the 2011 minor league season and provide an early look forward to the 2012 season. The podcast should also be available on iTunes in the next 24 hours. The 2011 minor league season was certainly a memorable one for many prospects. The SoxProspects.com community has voted and wishes to honor the following players with 2011 All-Star honors. Winning the honors for catcher for the second season in a row, Lavarnway used the 2011 season to prove he was one of the top prospects in the Red Sox system. Lavarnway terrorized opposing pitching this season, hitting .290/.376/.563 with 32 home runs and 93 RBI in 116 games split between Double-A Portland and Triple-A Pawtucket. The impressive season from the 6-4 catcher led to an August 18 call up to Boston. In 8 games with the Red Sox, Lavarnway is 7 for 23 with 2 doubles, 3 RBI and 4 walks. He ends the season ranked 6th in the Red Sox system by SoxProspects.com. Rather unheralded following a pedestrian 2010 season in Lowell, Head broke out in a big way in 2011, rocketing him up prospect charts and the Red Sox system. The 20-year-old out of Georgia slugged his way to a .299/.372/.515 performance at the plate with 22 home runs and 82 RBI in 88 games between Low-A Greenville and High-A Salem. A 2011 South Atlantic League All Star and three time SoxProspects Player of the Week winner, Head checks in as the 18th best prospect in the Red Sox system after previously being unranked. After appearing in just 3 games for the GCL Red Sox in 2010, Sean Coyle put together an impressive rookie campaign for the Low-A Greenville Drive in 2011. Appearing in 106 games, Coyle hit .247/362/.464 with 14 home runs, 64 RBI and 20 stolen bases. It was an up-and-down season for Coyle who struggled out of the gate and hit just .185/.229/.369 in June, but had impressive months of May, July and September. The 5-8 Coyle also battled through injuries to pound out 27 doubles and 7 triples. 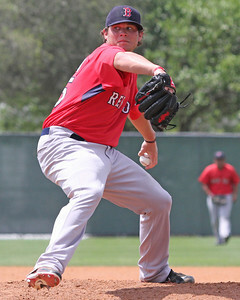 Coyle ends the 2011 season ranked 11th on the SoxProspects rankings. One of the younger players in the system, Bogaerts followed up a stellar 2010 with a 2011 season that put him high on many prospect lists. In 72 games for the Low-A Greenville Drive, Bogaerts, 18, hit .260/.324/.509 with 16 home runs, 14 doubles and 45 RBI. The aggressive placement proved no problem for Bogaerts who excelled as one of the youngest players in the South Atlantic League. Regarded by many as one of the players with the highest ceiling in the Red Sox system, Bogaerts ends 2011 ranked as Boston’s 4th best prospect. 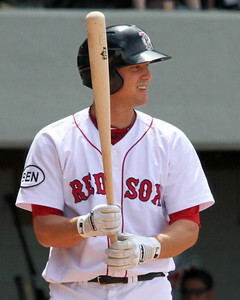 The 2011 season was a major turning point for Will Middlebrooks. Struggling to live up to the hype that surrounded him upon his arrival in the Red Sox system in 2008, Middlebrooks had been written off by some as another prospect who couldn’t realize his potential. 2011 quieted the critics, as Middlebrooks had a breakout year split between Double-A Portland and Triple-A Pawtucket. In 112 games, Middlebrooks hit .285/.328/.506 with 23 home runs, 25 doubles and 88 RBI. The impressive season led to Middlebrooks appearing in the MLB Futures Game and claiming #1 prospect status. 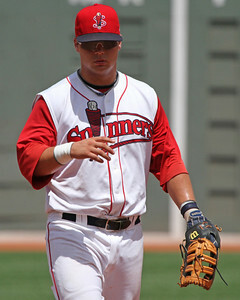 A first round selection in the 2010 draft, Brentz disappointed in 2010 as a member of the Short Season-A Lowell Spinners hitting just .198/.259/.340 with 5 home runs and 39 RBI. The 22-year-old slugger lived up to his billing in his sophomore season in 2011, hitting .306/.365/.574 with 30 home runs, 25 doubles and 94 RBI in 115 games split between Low-A Greenville and High-A Salem. Brentz had the rare distinction of being named an All-Star in both the South Atlantic and Carolina Leagues in 2011. Brentz ends 2011 ranked 8th on SoxProspects.com. Brentz’s teammate and fellow outfielder Brandon Jacobs also bounced back from a difficult freshman season in Lowell, where he hit .242/.308/.411 with 6 home runs and 31 RBI. 2011 saw Jacobs, a 10th round selection in the 2009 draft, hit .303/.376/.505 with 17 home runs, 32 doubles, 80 RBI and 30 stolen bases. Doing it all for Low-A Greenville this season led Jacobs to be named to the South Atlantic League All-Star squad. Jacobs’ impressive season moved him from 33rd to 9th on SoxProspects rankings. Perhaps the most impressive season from any prospect in the Red Sox system came from an unlikely source, outfielder Chih-Hsien Chiang. Previously unranked and unheralded after struggles at five stops in the Red Sox system, Chiang burst on to the prospect scene in 2011. Finally figuring out a way to best manage his diabetic condition, Chiang carried Double-A Portland on his back, hitting .340/.402/.648 with 18 home runs, 37 doubles and 76 RBI in 88 games. 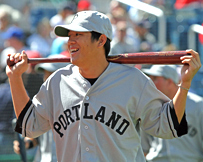 The monster season for the left-handed hitting Chiang led to an appearance in the 2011 Futures Game as well as him being traded to the Seattle organization on July 31 as part of the Erik Bedard deal. Chiang struggled after the deal, hitting just .208/.255/.262 with 0 home runs and 10 RBI as a member of the Double-A Jackson Generals. Previously unranked, Chiang topped out at 18th on the SoxProspects rankings during 2011. 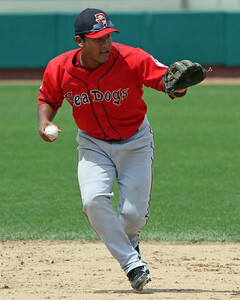 One of the younger players in the Red Sox system, Alcantara looked to make an impression in his first action on American soil in 2011. The 6-3 right-hander easily achieved his goal as a member of the Rookie GCL Red Sox, going 1-1 with a 0.75 ERA in 9 starts (48.0 innings), allowing just 4 earned runs and striking out 36 batters. The lights-out campaign led to his promotion to Short-Season Lowell, where he struggled to a 0-3 record with a 6.23 ERA in 4 starts. After being previously unranked, Alcantara checks in at number 26 on the SoxProspects rankings. A player that flew under the radar for a last place Lowell team in 2010, Keith Couch proved to be one of the more dominant pitchers in the Red Sox system in 2011. Couch’s sophomore season with the Low-A Greenville Drive saw him compile a 7-5 record with a 3.54 ERA in 137.1 innings, striking out 123 batters and walking just 19. The 13th round selection out of Adelphi in 2010 is currently ranked 40th on SoxProspects.com. As questions arose about whether Weiland would profile better as a starter or a reliever, he hushed doubters with an impressive 2011 season. In 24 starts for Triple-A Pawtucket, Weiland went 8-10 with a 3.58 ERA and 126 strikeouts in 128.1 innings pitched. The stellar season led to Weiland making his major league debut on July 10 and being called on again by the Red Sox in September. Weiland is currently ranked the 13th best prospect in the Red Sox system by SoxProspects. Seemingly stuck behind a Red Sox rotation that had a lot of depth, Michael Bowden made the transition to the bullpen in 2011. A first round selection in 2005 that was once regarded as one of Boston’s best prospects, Bowden reinvented himself as a reliever for Triple-A Pawtucket. Bowden compiled a 3-3 record with a 2.73 ERA and 16 saves and 61 strikeouts in 52.2 innings pitched. Seeing time in Boston, Bowden has put together a 3.52 ERA in 15.1 innings of relief for the Red Sox. One of the best stories of the 2011 season, Chris Martin came out of nowhere to impress followers in his first season in the Boston organization. Drafted in 2005 by Colorado, Martin tore his labrum during his sophomore season and struggled to come back from the injury, leading him to give up on a professional career. After working at UPS and Lowe’s, Martin began to throw again and realized he no longer felt pain in his shoulder. He signed with the independent league Grand Prairie AirHogs and went 4-0 with a 1.96 ERA in 36.2 innings. The impressive return to the mound led to the Red Sox signing the 6-7 right-hander for the 2011 season. Martin continued his newly found success in his first professional season, compiling a 6-2 record with 4 saves and a 2.55 ERA in 74.0 innings pitched between Greenville, Salem and Portland. Martin currently ranks 44 on SoxProspects.com. 9/11 Cup of Coffee: The 2011 season officially came to a close on Saturday evening as Pawtucket was swept out of the playoffs. The Lehigh Valley IronPigs (PHI) completed a three game sweep of the PawSox, eliminating Pawtucket with a 3-1 victory. Alex Wilson received the loss despite a solid 7.0 innings of work, allowing 3 runs on 3 hit and 1 walk while striking out 6. Trevor Miller added 2.0 inning of flawless relief, striking out 2. Pawtucket struggled mightily all night on offense, receiving its only run of the contest on a Will Middlebrooks sacrifice fly in the bottom of the ninth. The PawSox were 0 for 5 with runners in scoring position and left 8 men on base. The loss officially closes the book on the 2011 minor league season for the Red Sox affiliates. Look for the Cup of Coffee to return during Arizona Fall League action in early October. How acquired: Drafted in the 5th round, 2007. $925,000 bonus. 2011 Stats: .285/.328/.506 with 23 home runs. Scouting Report: Middlebrooks is a solid all-around athlete with an ideal third-baseman’s frame. He has packed on a lot of muscle since signing in August 2007, but has managed to maintain above-average athleticism. On offense, he has plus bat speed with a nice upward plane through the strike zone, and he hits the ball hard with backspin when he squares it up. With improving bat control and pitch recognition, Middlebrooks projects to have plus power to all fields at the major-league level. However, he’s an aggressive hitter who will need to learn to be a bit more selective at Triple-A before making the jump to the big leagues. He also tends to over-extend his arms during his swing, which causes him to be susceptible on the inner third of the zone. He will need to refine his approach with inside pitches to produce more consistent contact and reduce the strikeouts. He also has the tendency to over-pull the ball during extended stretches, and has proven to be at his best when he’s using the whole field. Defensively, Middlebrooks is rounding toward becoming a plus overall defender. He has a plus-to-elite arm, as he was a highly-regarded pitcher in high school. He’s light on his feet defensively with strong anticipation, reaction, and first step skills. He shows solid footwork and typically stays square to the ball. He could stand to improve range to his left by stabbing less at the ball and taking another step or continuing to become comfortable throwing on the move. Overall, he’s a hard worker who has shown an exemplary ability to make adjustments each season. Cup of Coffee 9/10: The Pawtucket Red Sox fell to the Lehigh Valley IronPigs (PHI) 3-2 in 10 innings, and are now down two games in the series. They need to win three consecutive games to move on to face the Columbus Clippers (CLE) for the International League title. The PawSox got out to an early lead as Lars Anderson doubled home Jose Iglesias in the bottom of the first. The lead would not last long however as Brandon Moss, a former Red Sox player who was sent to Pittsburgh in the Jason Bay trade, hit a solo home run to dead center in the bottom of the 2nd to tie the game at 1. In the bottom of the 3rd, Moss delivered again as he hit an RBI double to give the IronPigs a 2-1 lead. That score held until the 8th when Daniel Nava doubled home Che-Hsuan Lin to tie the game at 2. With Nava in scoring position and only one out, the PawSox were in a great position to take the lead, but pitcher Phillippe Aumont struck out Lars Anderson and got Hector Luna to ground out to end the threat. In the bottom of the 10th, the IronPigs got a runner to third thanks to a single and 2 sacrifice bunts. With 2 outs and first base open, pitcher Randy Williams intentionally walked Kevin Frandsen to set up a lefty-lefty mathup with Brandon Moss. Moss made him pay as he lined a single to center to drive in the winning run and push Pawtucket one step closer to elimination. Tony Pena Jr. got the start for the PawSox, and he allowed 2 runs on 6 hits in 4.2 innings. He walked 3 and struck out 4. Hideki Okajima relieved him, throwing 1.0 inning allowing no hits and striking out 2. Junichi Tazawa followed Okajima, tossing 1.2 innings whilecallowing 0 hits and striking out 3. Randy Williams got the loss throwing 1.2 innings and allowing the game winning run. Game 3 of the series will be played tonight (9/10) at 6:05PM in Pawtucket. With another minor league (regular) season reaching its end, it is time to take stock of the year that was in 2011 in the Red Sox farm system. Over the next few weeks, we will reveal our yearly all-star and end-of-season award-winners, as well as several other new season wrap-up pieces for you to enjoy. Today, we start with one of these new features, as the three members of the SoxProspects.com site management team share their respective end-of-season top 40 prospect lists. We also include a yearly tradition, the SoxProspects.com community’s end-of-season top 40, as voted on by members of our forum. The brass and community all agree that third baseman Will Middlebrooks has become the top prospect in the system, but the four lists diverge from there. As common as it is for our forum members to have differences of opinion on players, so to do the three of us, who each bring different perspectives to the table when we collaborate to make the site’s official ranking. Without further adieu, on to the lists! * - Michael Bowden was eligible for the community voting and was ranked 36th. However, since the community voting ended, Bowden reached the 50-inning threshold in the major leagues, and we thus considered him graduated for the purposes of this feature. That decision also considered that he is out of options, unlike, say, Ryan Kalish. Q&A with Jackie Bradley Jr.
Embarking on a professional career after compiling some of the most memorable college moments of any baseball player in history, Jackie Bradley, Jr. remains the same highly skilled and charismatic prospect he has been his entire life. A potential five-tool outfielder, Bradley, Jr. burst on to the national radar in 2009 as a freshman at South Carolina, hitting .349/.431/.537 with 11 home runs and 46 RBI. After spending the summer of 2009 in the Cape Cod League with the Hyannis Mets, Bradley, Jr. continued to take his game to the next level in 2010, hitting .368/.473/.587 with 13 home runs and 60 RBI for the World Series champion Gamecocks. He showed his ability to come through in the clutch with a key two-out, game-tying RBI single in the bottom of the twelfth inning against Oklahoma in the second round of the College World Series. His heroic efforts and superior performance led to Bradley, Jr. being named the Most Outstanding Player of the tournament. Entering 2011, Bradley, Jr. was seen as one of the top prospects in the country, and a sure-fire bet to be a first round selection in the amateur draft this summer. However, a wrist injury forced Bradley, Jr. to miss 26 games and he hit just .259/.361/.468 with 6 home runs and 26 RBI in 37 games. The injury dampened Bradley, Jr.’s prospects in the draft, allowing him to fall to the Red Sox in the supplemental first round at pick 40. Known for his strong defensive prowess and throwing arm, Bradley, Jr. led South Carolina to a second straight World Series title before signing with Boston and beginning his professional career in Lowell on August 23. Before one of the Spinners last home games of the season, Bradley, Jr. took some time to speak to me about his career, love for the game, and passion for giving to others. John Gray: You were a member of the Hyannis Mets of the Cape Cod League in 2009 after your freshman season at South Carolina. What was the difference between playing in the Cape League versus college? Jackie Bradley, Jr.: It was a lot of fun, my host family really made the experience great for me. My host parents actually came up to see me play and get my first hit here in Lowell. They are really special to me and it was great to play in such a competitive league and see how passionate baseball was in New England. JG: You were drafted 40th overall by the Red Sox in this year’s draft, what were your expectations heading into the draft and how did you feel when it was Boston who ended up selecting you? JB: Yeah, I knew Boston was looking at me very closely. There were a number of teams who showed a lot of interest, but I always felt the Red Sox were the ones who really wanted me the most. I didn’t have expectations going into the draft, just letting the chips fall where they may and see how things worked out. I wanted to be prepared for whatever situation I found myself in, but I am very happy to be a member of such a great organization here in Boston. JG: Was there ever any doubt in your mind that you would sign? Did you think there was a possibility you would head back to South Carolina for your senior year? JB: I had two very good options on the table for me and I actually did think about heading back to college. The honest truth is that I loved being a part of such a great program at South Carolina, but I was also ready to begin my professional career. I was able to strike a deal with the Red Sox right before the deadline and everything worked out for the best. JG: In 2010, you led your team to the National Championship, being named Most Outstanding Player of the College World Series. What was it about your team that made them champions and what are your lasting memories of the entire season? JB: The thing that sticks out about our team was that we weren’t a bunch of highly touted prospects or individuals; we really just played as a team. We were really close in the clubhouse; we would hang out together and really pull for each other. A lot of teams we faced were all business-like and very serious. We were different because we went out and just had fun, we loved playing baseball and having fun with each other. One of the coolest things about winning the CWS was going to the White House and meeting the president. He told me that he was watching the games on TV and shook my hand, it was really an unforgettable experience. JG: 2011 had a tough beginning for you as you sustained a wrist injury. How devastating was the injury to you and how much of an effect do you feel it had on your junior season? JB: The worst thing about the injury was that it didn’t give me a chance to play. I didn’t have a chance to get into a groove and get locked in. I was struggling early on in the season and then I got injured. I was out seven weeks and sat on the bench hoping my team would be able to replicate what we did in 2010. I wanted to be able to get back out on the field and help the guys out and win another title. The fact we were able to win back-to-back championships just speaks to how amazing the program at South Carolina really is. JG: Once you returned to play after the injury, did you try to make up for lost time? JB: Of course! The game is hard enough already, try going out there and playing the game hurt. It’s very difficult having to battle through injuries. I would strongly advise anyone not to try and play when you are badly hurt; it’s no walk in the park. JG: I have seen that you admire Torii Hunter. What is it about Torii you admire and how do you think you compare to him in the field? JB: Torii is a true leader. He’s a very vocal guy and lets his voice be known in the clubhouse. I am not a very vocal guy myself, but I admire how Torii can pull his team together. He really goes to get it in the outfield. Climbing walls, making diving plays, he can just do it all and make it look easy. I’ve always been proud of my defensive ability, making a great throw or taking away extra bases with a diving catch. I feel like the highlight for me of any game is a great defensive play. Defense just comes easy for me, and it’s what I feel is my best asset. JG: What led you to choose retail management as a major during college? JB: Virginia doesn’t offer retail management as a major and South Carolina did. It was also one of the majors that helped me out financially as well. If baseball doesn’t work out for me, I always thought I could be a pretty good entrepreneur. JG: You’re a prolific user of Twitter, what is it about Twitter that you enjoy most? JG: Having just arrived in Lowell, what has it been like to acclimate to pro ball, what are the major differences from college? JB: At the professional level, baseball is an everyday thing. Since I’ve gotten here, we have had a game every single day. There’s very little down time and you are constantly working. I really like that constant aspect of it because it keeps me going and keeps me motivated. We always like to say that we enjoy the games more than practice, so having a game all the time is a welcome change over practice. JG: I’ve seen that you like to give back to the community as much as you can. What types of things do you do in terms of community service and why? JB: I’ve been around a couple of different baseball fields and surprised a couple of different teams and kids by handing out trophies and awards. I remember during college I went to a middle school and talked to a lot of kids about staying strong and determined. I know that I was focused and mature at such a young age because I knew what I wanted to do in life. A lot of kids these days don’t know what they want to do and I want to let them know that they can do whatever they want, but they have to give it their all. If you do everything you can to get to where you want to be, you won’t have to have any doubts about yourself. Something as simple as signing an autograph for a kid can be one of the most cherished memories in their lives. While it may be something I do all the time, that one child that you signed an autograph for will never forget it. Being able to lift someone up and brighten their day is something I have always strived to do. JG: You collected your first professional hit last evening (August 26). Can you walk us through how that moment felt and did you get the ball back? JB: It was a surreal feeling. I got the hit and then they stopped the game and threw the ball in to the dugout, so I got the ball back. The coaches wrote my name and put “first professional hit” as well as the team and pitcher I faced on the ball for me. Getting that first hit out of the way was a relief and hopefully now I can get on a roll. I am just really trying to see the ball deep and get used to the pitching at this level. JG: You, Noe Ramirez and Matt Barnes all arrived in Lowell at around the same time. Have you guys developed a bond since you were all members of the 2011 draft class going through a new experience for the first time? JB: Yeah we actually do. We travel together; we always ride together (Barnes drives us) and hang out. We also have our lockers next to each other so it was really helpful to walk in to a new situation and clubhouse and see familiar faces. Having played with Noe and Matt before, it has helped the transition for me go more smoothly knowing that I am not in it alone and with guys that have been there with me before. JG: What is your walk up music and why did you select it? JB: I use two different songs, "Yeah Ya Know" by TI because I like the beat on it and "Power" by Kayne West. It has a great beat to it and it really gets me pumped up for my at-bats. JG: You’ve stated before that you have a lot of fun playing baseball and don’t worry about the business side of the game. Has that changed a bit now that you are a professional? JB: I still am going to have all the fun in the world playing this game. I am a little different because I don’t go out a whole lot, I am a homebody. I like to hang out at the house, watch a lot of movies and just enjoy my time. I do realize that I’m a professional now, but I am ready to get out there and show what I can do. Just as an FYI, my favorite movie is Man on Fire with Denzel Washington and Dakota Fanning.